Like what you see so far? 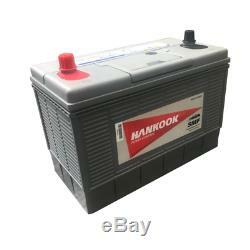 Hankook 130Ah Leisure Battery - XL31S. Ask a question about this item. Maintaining extremely high quality products. Suitable for: Caravans, Camping, Motorhomes, Boats, RV, Leisure use and more. This range of Hankook Dual Purpose batteries are of a lead calcium construction enabling longer life and better starting capabilities than conventional leisure batteries. This item is a dual purpose battery which will deliver powerful cranking amperage for easy starting and deep cycling, low amp draw service for reliable auxiliary power. Unlike a car battery, these batteries can handle being discharged to a higher capacity and recharged again without affecting future performance. Magic- Eye Indicator - for checking charging state. Excellent Design Handle - easy battery replacement. 100% Maintenance Free - fully charged and ready for use. Special Sealed Covers - prevent acid leakage and minimize gassing. Integrated Computer Designed & Reinforced Container - protection from vibration and impact. We will only deliver to addresses within the United Kingdom unless the advert suggests otherwise. We will inform you if we become aware of an unexpected delay. Please note that if your order is made up of a combination of items, deliveries may, on occasion be made separately. Unfortunately this means we are unable to deliver to the following areas: AB31 - AB38, AB40 - AB56, KW1 - KW17, PA20 - PA78, PH4 - PH50, IV, HS, JE, IM, BT, Channel Islands & Ireland. Opening hours We are open Monday to Friday from 8am until 5.30pm and 8.30am until 4.00pm on Saturday's. Option 1 -Having the battery tested yourself Take the battery to a local garage for a battery test. Make sure the battery is fully charged and over 12volts when the test is performed. Ensure that the voltage is shown on the test report. When we have received the test report and the invoice we will call you to arrange a new product to be sent to you and collection of the faulty item. The battery will be sent back fully charged and ready to use. We deal with many customers and it is not possible to remember every individual case. If you are sending unwanted goods back they must be in a resalable condition otherwise they will not be accepted as unused. When you try to install the item you forfeit your right to cancel. Please print out and keep your receipt. Liability information Short deliveries must be reported within 24 hours of receipt. Many of our products are intended for professional installation. We will not be held liable for any damage to person or object caused by incorrect installation of our products. If you are unsure about the correct way to install a product please seek advice from a qualified person or contact our technical team. We do our best to make sure that we have everything in stock that we list on the internet but occasionally we get caught out when stock drops to low levels. For certain deliveries we also use a pallet company or our own transport. It is crucial that you spell your address correctly and include your postcode accurately because our system takes your text directly and imports it into our dispatch system. Errors can cause delays or even the need to rebook a parcel at your expense if your data entry is the cause of the problem. Waste Battery Regulations Under the Waste Battery Regulations, Battery Megastore are now offering a take back scheme for all portable waste batteries, you can return your waste batteries to our business premises in person. End-users may find stores in their local area more accessible. WEEE With effect from July 2007, the UK's Waste Electrical and Electronic Equipment (WEEE) Regulations require that all producers of electrical equipment are now obliged to pay for these items to be recycled when they become waste. These regulations also require that all retailers both actively assist in delivering a UK wide WEEE collection infrastructure and encourage the participation of consumers in recycling electronic equipment. So that you can get your waste electrical goods recycled, we have contributed towards a national fund to assist local councils to further develop their existing waste electronics collection facilities, which will in turn allow producers of this equipment to meet their obligations. We are one of the UK's fastest growing stored energy suppliers and we are committed to providing comprehensive information and a top quality product range at a highly competitive price point. We pride ourselves in supplying our quality products across a whole range of clients and applications. We work hard to supply an efficient service to all of our customers, from large industrial organisations and battery wholesalers, UPS battery banks for financial institutions through to individual consumers purchasing single car batteries. Battery Megastore Ltd has experienced strong growth since its beginnings in 2000. Try us, you won't be disappointed. Yours sincerely Battery Megastore Team. Want the latest offers first? Sign up to our free newsletter. 99% of customers would recommend us to a friend. The item "Hankook 130Ah Leisure Caravan Camper Battery XL31S 4 Yr Wnty" is in sale since Monday, August 20, 2018. This item is in the category "Vehicle Parts & Accessories\Car Parts\Electrical Components\Car Batteries".  The seller is "batterymegauk" and is located in GL20 8NB. This item can be shipped to European Union member countries. Vehicle Type: Caravans, Camping, Motorhomes, Boats, RV, Leisure use and more.